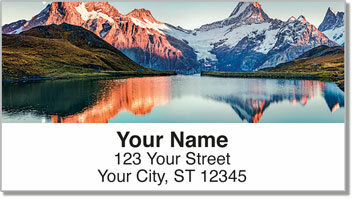 We've all seen picturesque, panoramic views of amazing landscapes and striking skylines. But there's something extra awe-striking about seeing the world from the summit of a mountain you just climbed. It's the feeling of satisfaction and relief combined with the moment you take a deep breath, stop thinking about putting one foot in front of the other and just take a look around. With arms raised in victory, you simultaneously soak in your surroundings as your heart fills with pride at your accomplishment. 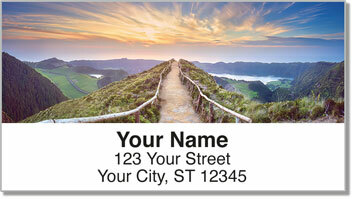 These self-adhesive address labels are an attractive finishing touch for your outgoing mail. 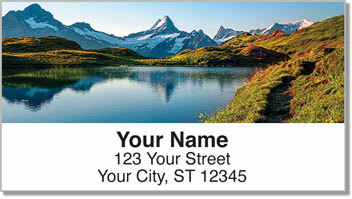 They'll make the tedious task of preparing outgoing mail as easy as peeling and placing. Save your time for more rewarding journeys. 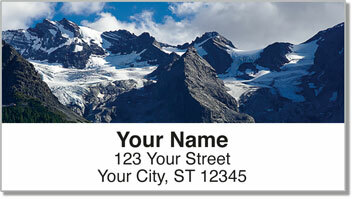 Get your own Mountain Peak Address Labels today! Order them with matching personal checks.